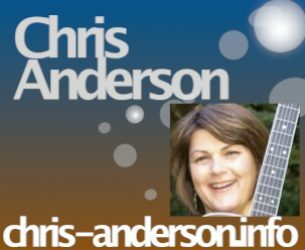 I’m Chris Anderson, a singer/songwriter from Virginia, USA near Washington, DC. 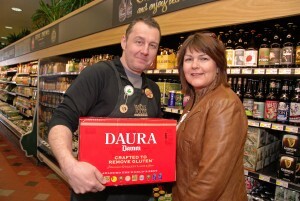 I asked Whole Foods Market Reston if they would start carrying my favorite gluten-free beer, Estrella Damm Daura. And the amazing beer buyer, Graham Drew – Bassist ordered it for me! Here is a picture of the two of us, where I am buying the very first case. AND…in an amazing coincidence, Graham is also a bass player! 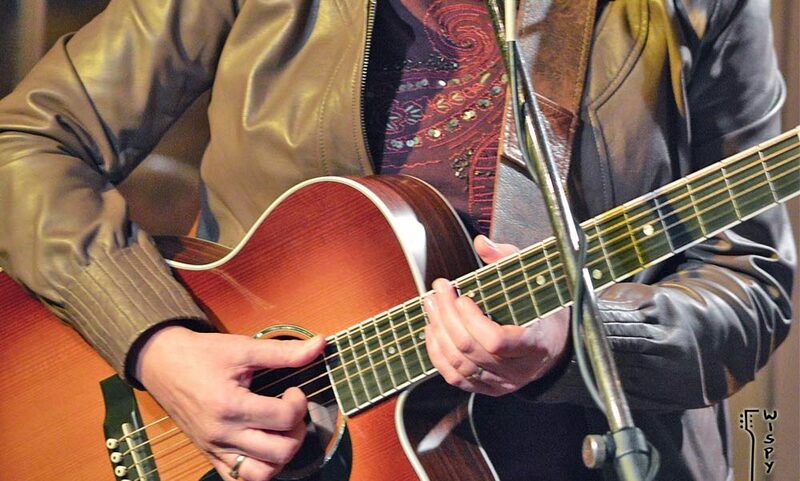 The two of us are going to get together and play some tunes in a local club. All because of Estrella Damm Daura!! Yippee! UPDATE: Well… Graham Drew and I now play together in the Harried Americans band. Such a happy ending …much fun!